If you feel that you have grounds for a lawsuit based on medical malpractice, doctor-patient confidentiality, or any other wrongs that may have been committed against you, you must have evidence on hand if you are serious about pressing charges in a criminal or civil court. 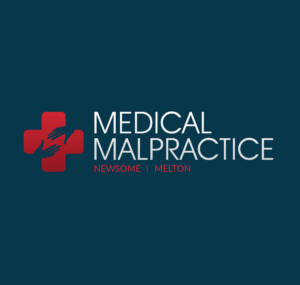 If you are suing over malpractice that you suffered while being examined or treated for a medical condition, the most valuable evidence that you can have is a copy of your medical records. For example, if you are suing a hospital because the nursing staff did not provide you with the care that you required, your medical records will be able to show not only what was required of the staff but what kind of care was provided during your hospital stay. If you do not have a copy of these records on hand, be sure to provide your attorney with the names of each of your medical providers. An attorney will be able to procure the appropriate records for you. Just as a copy of your medical records can be invaluable evidence in court, a copy of your mental health records can be crucial as well. Like your medical records, an attorney can procure copies of your mental health records if you provide the names of the mental health professionals from whom you sought treatment in the past. If you have ever been treated for a medical condition of any seriousness, chances are that you have had some medication prescribed to you at some point. Be sure to tell your attorney what medications you are on or have been on, including dosages. This information may be included in your medical records, but it may also be obtained separately. It is very important to let your attorney know about any health or disability insurance that you may have. Provide your attorney with a copy of your insurance policy. If you have a group plan, be sure to have your certificate of coverage or participation. Your attorney will be able to determine the scope of your coverage based on this information. If you have health or disability insurance, chances are that at least some of your medical bills will be covered. However, there are plenty of insurance plans that cover only a portion of your medical bills; you will ultimately have to pay something out of your own pocket. In a lawsuit against a healthcare professional, it’s important to have records for what you or your insurance company had to pay. One of the many problems associated with a lengthy hospital stay and/or rehabilitation is the fact that you will be unable to work for a period of time. The wages lost during that time can be an issue, and if they are a result of negligence or other kind of misconduct on the part of a healthcare professional an attorney could help you regain at least some of those wages. The best way to prove what wages were lost is to compare your earnings from before your need for medical attention to those that you had during your rehabilitation.